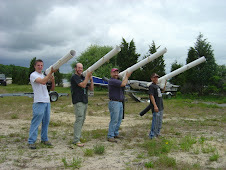 Chronicles of Zostera: One million strong and growing? Well, I can't be very sure about that. However, there was a time when Great Souht Bay, a south shore estuary on New York's Long Island, when there were so many hard clams that people could "walk across the bay on the boats of clammers." Well, the times they are (read have been) a changin'. 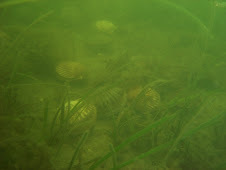 One of the projects my lab has been involved in was a shallow water hard clam survey in GSB. I was able to go out and help with that survey last week, and I can say the results, at least for my day out on the water, the results were less than ideal. 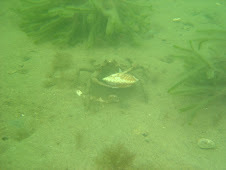 Times were, there were upwards of 30-40 hard clams per square meter at certain locations within GSB. I'd say we were lucky to find ~ 1 per square meter. That is devastating. Certainly overfishing helped contribute to this collapse, but additional insults such as harmful algal blooms and habitat alteration has certainly helped lead to this sad clam state. There is hope, though. The Nature Conservancy has a large area of bottom land in GSB and has been free planting adult clams in spawner sanctuaries for many years. Hopefully, things will start to get better.